Wage disputes in the public sector threaten to drive up costs across the economy, according to the ESRI think-tank. A report published today also says there is little clarity on the difference between public and private sector remuneration. In its quarterly economic commentary, the ESRI warns we must "generate a reliable estimate of the public-private sector pay premium" in order for pay talks to be effective. The ESRI notes that "the latter half of 2016 has seen a number of high-profile industrial disputes centring on the wage claims of certain trade union and employee representative groups. Many of the disputes are concerned with pay issues prompted by the emergency measures taken to stabilise the public finances". It also says that an "understanding of the differential between public sector and private sector wage levels" will be central to any assessment of public sector wage claims. 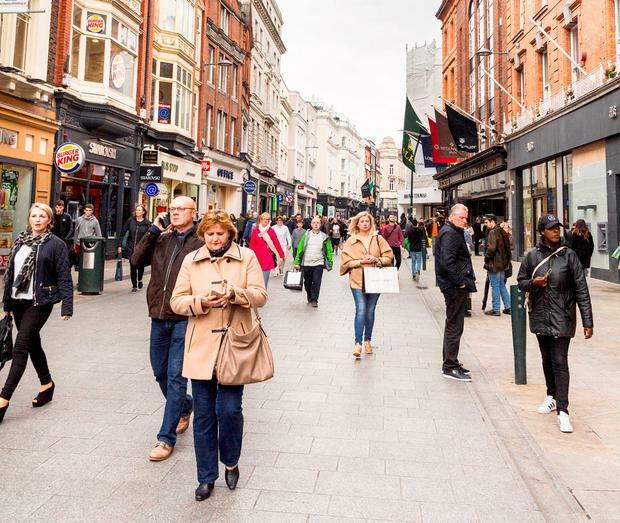 "The Irish economy being one of the most open economies in Europe and the OECD is, accordingly, particularly sensitive to changes in relative wage levels and costs," it noted. It says any changes in the public sector can have "significant implications" for the private sector. The true scale of public sector remuneration, including pensions as well as other benefits such as job security, was put firmly on the agenda this week following a report by industrial relations consultant John Horgan. He revealed that a garda's retirement pot is worth between €30,000 and €40,000 a year and this pushes up their remuneration to about €100,000 a year. But the ESRI says that "while there have been a number of studies over the years which have sought to quantify the public-private sector pay premium, the relevant literature has been characterised by a wide dispersion of estimates". It said there was a "lack of clarity and consistency in the approaches" which complicated the discussion. And it called for a "reliable estimate" of the true difference, "based on a rigorous methodology consistent with economic theory". Another economic report today will also claim that increasing industrial unrest is posing a major challenge to the economy. The National Competitiveness Council says the rise in industrial action is emerging as an "immediate challenge". Separately, the trade union Unite condemned what it termed "selective leaking of misleading data" from the Government's submission to the Public Service Pay Commission. The Government this week revealed that the gap between public and private wages is among the highest in Europe and the value of public sector pensions is at an all-time high. Unite regional co-ordinating officer Richie Browne said it "compares apples and oranges, and comes up with lemons". "For example, the reason Irish public sector pay and pensions make up a higher proportion of public expenditure in Ireland than in other EU countries is because the overall level of public expenditure is so low. Public investment is one of the lowest in the EU," he added. "And the reason there is a gap between public and private wages is not because public wages are high - but because we have an ongoing low pay crisis in the private sector."